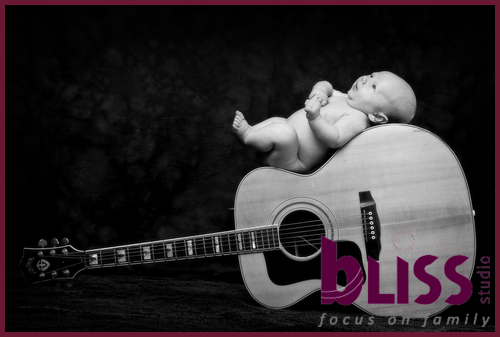 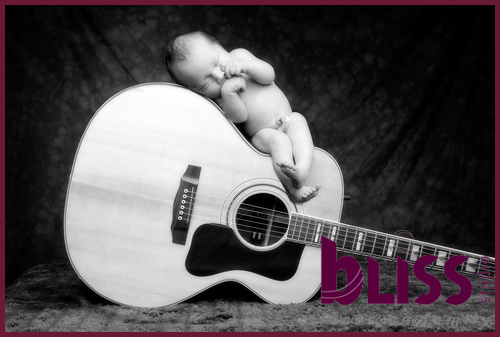 Tracey and Greg have been coming to us since Tracey’s pregnancy photography session, and below is Abbey -this is her when only 7 days old, having a snooze on Dad’s guitar. 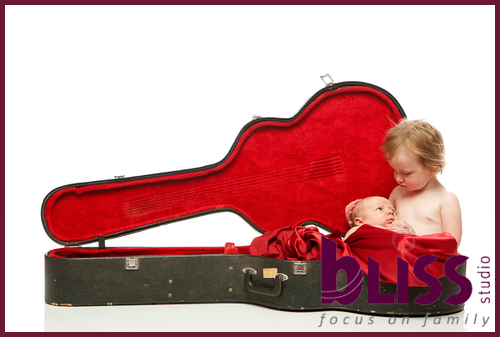 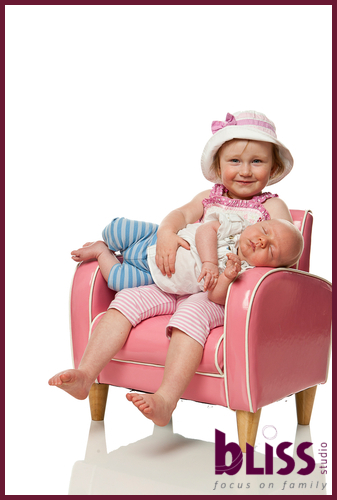 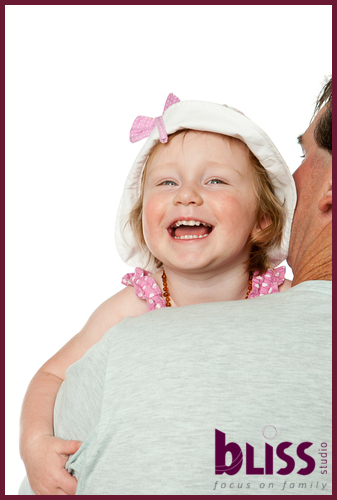 So when they came back with little Blake to update the family portraits, we had to try again! 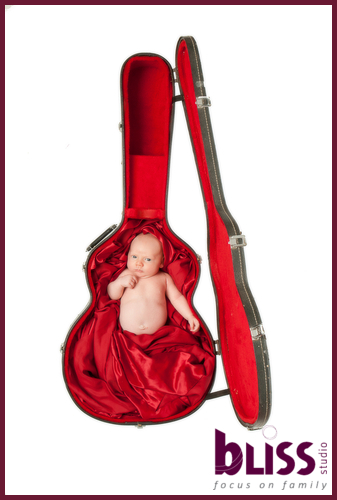 My personal favourite for Blake is the over head image with him in the guitar case!